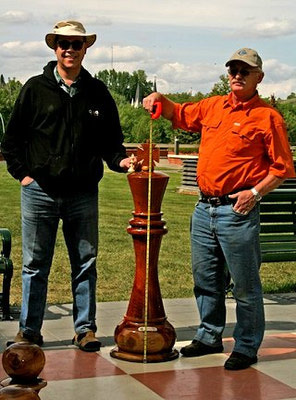 The World's Largest Chess Set, as declared by the Guinness World Book of Records in 2009, is in Medicine Hat! This amazing permanent chess set is located adjacent to the Library on 1 St. SE, with views of the beautiful South Saskatchewan River. The pieces are all hand and lathe crafted from teak wood and imported from Indonesia. 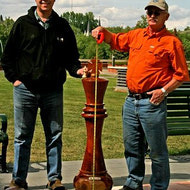 The tallest piece in the set is the King which measures 4 feet tall! Wow! Collectively, the pieces weigh in at a whopping 870 pounds! 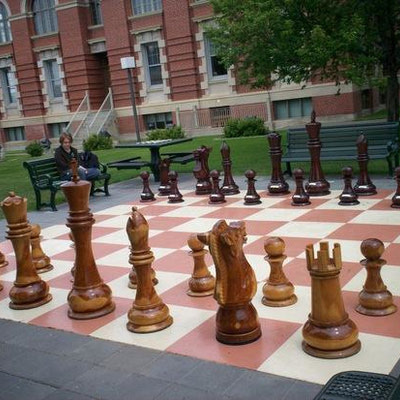 Head to Downtown Medicine Hat and get your picture taken beside the World's Largest Chess Set!